A spoon full of sugar may make the medicine go down, but it certainly doesn’t help weight loss and blood sugar levels. As people try to cut down on sugar and beat the cravings for sugar and addition for sugar and corn syrup they face a dilemma – How much sugar is in various types of food? Seeing it in grams on the food labels does not help very much, as it is hard to visualize what are high, low or moderate levels. There is strong evidence that processed foods, especially those with added sugar and fat are a major cause of the obesity epidemic that is raging throughout the world with no sign of abatement. Most people don’t understand the concept of a daily allowance for calories sugar or fat. It is hard to visualize what this means and what various foods contain in terms of calories, food and fat. This is why having ‘traffic lights’ systems and ‘Star’ ratings and other visual symbols on food labels is so important. What helps to understand how much sugar is in foods of various types is to show it in teaspoons of sugar, granulated sugar. 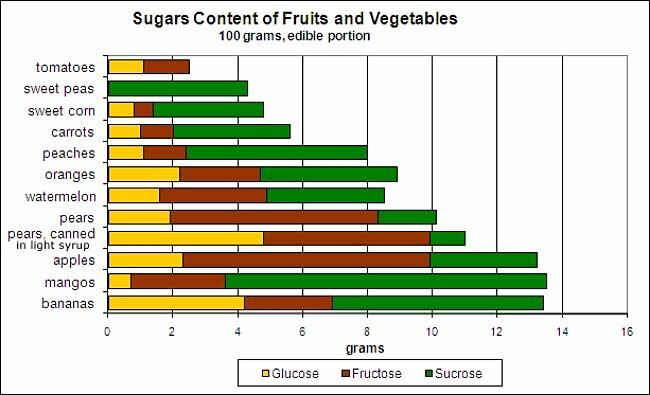 This article has collected all the information on sugar contents of food are shows it in chart with teaspoons of sugar equivalents. 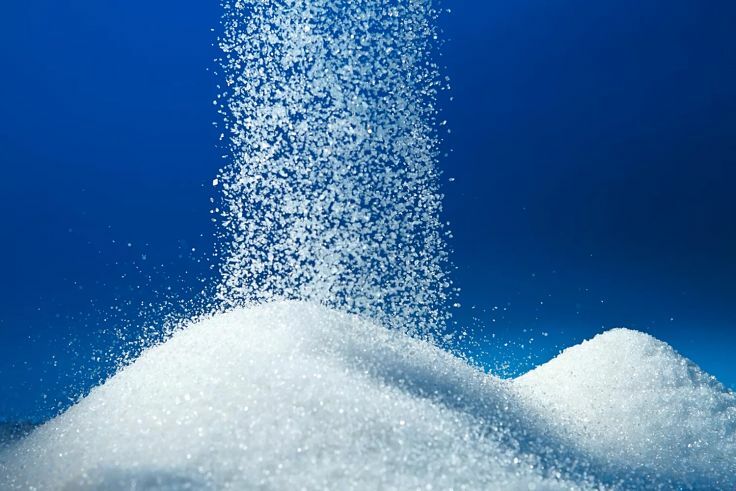 For this project the glucose, fructose and other natural sugars have all been converted to equivalent amounts of sucrose. 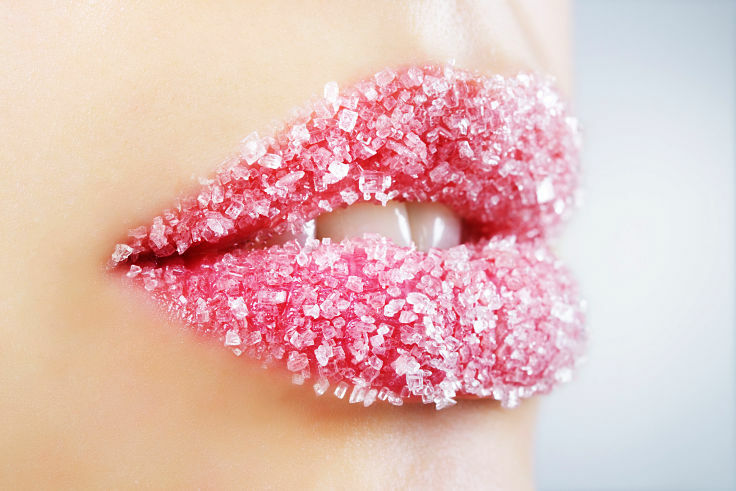 Some of these sugars occur naturally in foods and some of them are added. 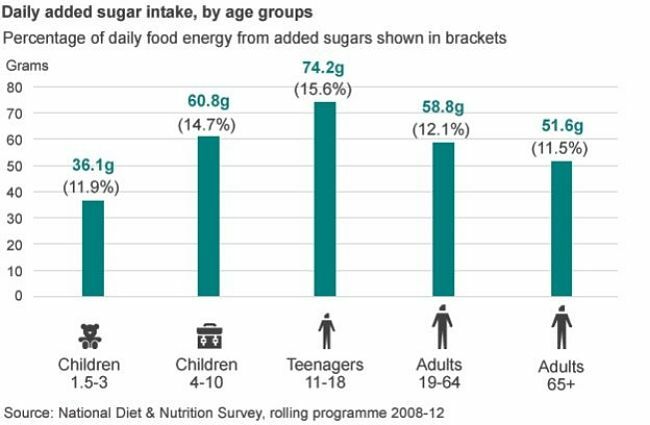 This matters very little, it is the total count of sugar that matters. 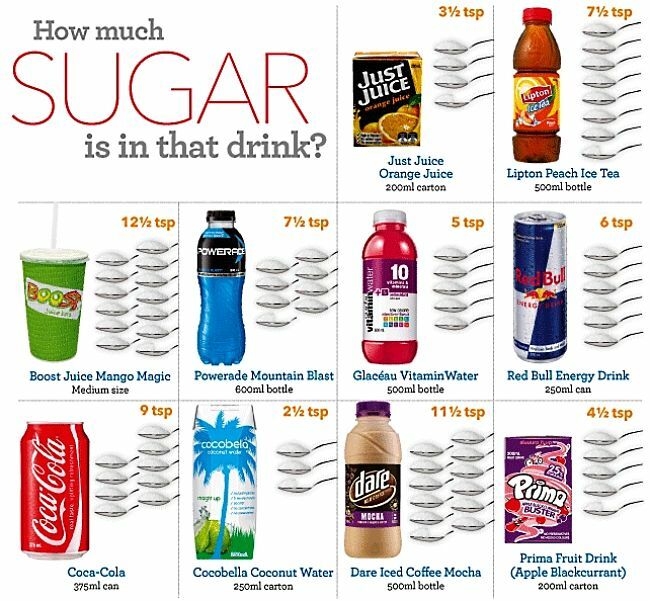 The amounts shown are equivalent to the total sugar content shown on food labels. Total carbohydrate includes starch and lactose which are not readily available sugars like glucose and sucrose and fructose. 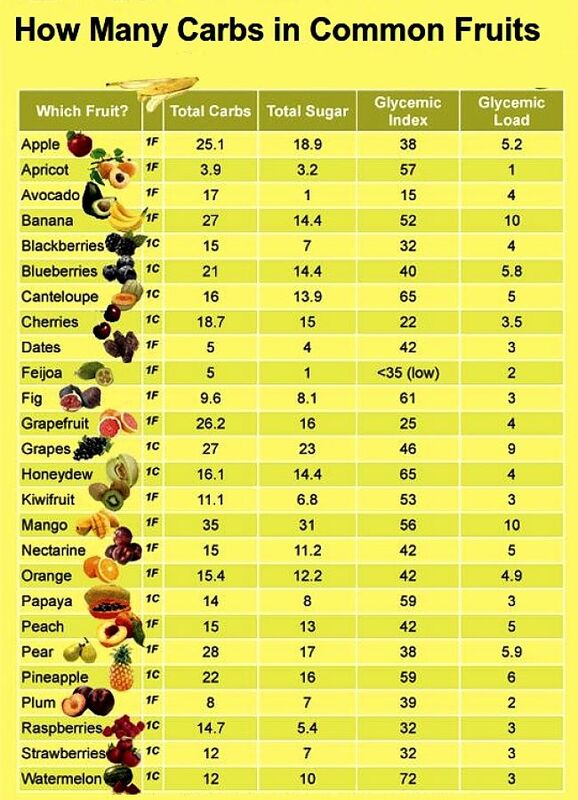 The sugar content of foods is closely related to its Glycemic Index and Glycemic Load. How Much Sugar Should We Eat in a Day? Why Does it Matter? Sugar is a very simple form of carbohydrate, with three main types glucose, sucrose and fructose. Lactose found in milk products is also a relatively simple sugar. Sugars occur in the form of monosaccharides (one sugar unit) or disaccharides (two sugar units). Sucrose, Lactose and Maltose are disaccharides. 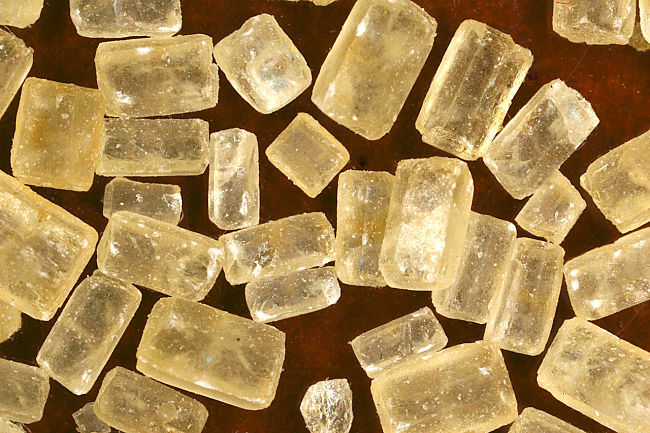 Sucrose, commonly known as table sugar, consists of one molecule of fructose and one of glucose. Starches are polysaccharides, made from more than two sugar units. Glucose not immediately used for energy is converted via glycogenesis into the molecule glycogen. This is the body’s temporary energy store, mostly in the liver and muscles. Glycogen can be quickly converted back into glucose as needed when there is extra demands for energy or the blood sugar levels drop.. When the glycogen stores are fully charged up to capacity any excess blood sugar is converted to fat and other molecules. Fructose, like glucose is not stored in the body. How Much Added Sugar Should be Consumed Daily. The American Heart Association (AHA) currently recommends that men consume no more than 150 calories from added sugar per day, and women 100 calories. 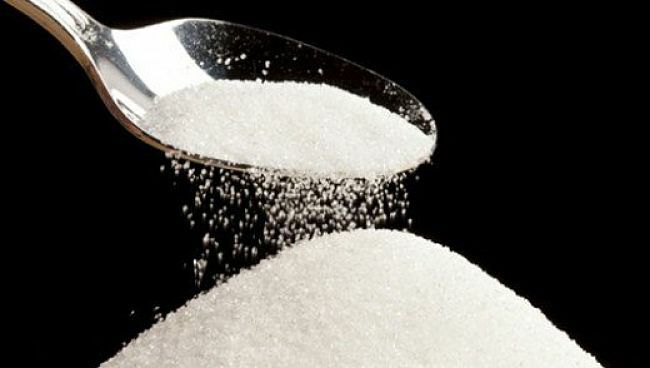 One teaspoon of sugar contains about 4.2 g of sugar which yields 16 calories. 7 teaspoons of sugar for women. Other advice is not to consume more than 13 teaspoons of sugar a day. Lowfat yogurt, unsweetened, 6 oz. Lowfat yogurt, fruit, 6 oz. Chocolate shake, 10 fl. oz. Water chestnut drink, 12 fl. oz. 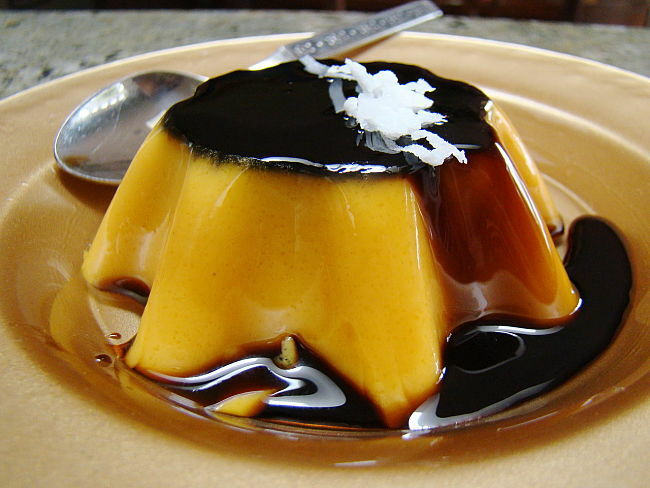 Sugar, jam, or jelly, 1 . Syrup or honey, 1 tbsp.